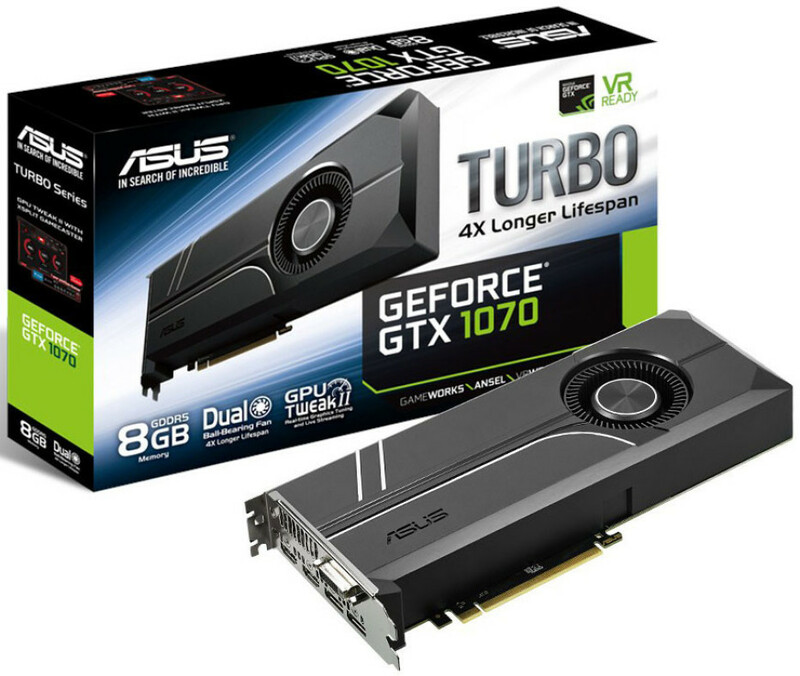 Ten days after launching the GeForce GTX 1080 Turbo, ASUS has done the same to its slower sibling – the GTX 1070. Of course the new card is called GeForce GTX 1070 Turbo but if you expect a ton of differences, then don’t – the GTX 1070 Turbo is pretty much the same as the GTX 1080 Turbo save for the memory and the clock speeds. The GTX 1070 Turbo comes with a lateral cooling solution that is attached to a custom-designed PCB by ASUS that draws power from a single 8-pin PCI-E power connector. The video card comes with the Turbo word in its name but there’s nothing turbo inside (just like the GTX 1080 Turbo) – instead the new ASUS video card sticks to NVIDIA’s reference clock speeds of 1503 MHz for the GPU (1683 MHz GPU Boost) and 8000 MHz for the installed 8 GB of GDDR5 memory. The card also comes with a 4-pin PWN case-fan header, which lets you sync a fan to the card’s temperature, controllable via included software.